Its fitted bodice and full skirt creates the impression of curves for brides whose figures tend to be a bit straight up and down. Its high-waisted style, with a slim or A-line skirt falling from just below the bust, suits brides with classic English figures – small on top and a bit fuller on the bottom. Slim and figure-hugging, the sheath and its sister style, the fishtail, look stunning on both perfect petites and long and leggy brides. Those with less than perfect figures are advised to avoid it! Describing an A-line by means of vertical panels either from the shoulders or from the bust, this style suits brides who want disguise their hips. The long bodice and dropped waist of the basque-style suits almost every figure and is perfect for brides who want to draw attention away from a very full bust. When it comes to necklines and sleeves, take a good look at your shoulders before you make a decision. this straps, halter necks and off-the-shoulder gowns accentuate pretty shoulders. If you have wide shoulders, go for a V-neck or wide straps Sweetheart, square and V-necklines elongate shorter necks. High collars and boat necklines disguise bony shoulders or prominent collarbones. Full, fancy sleeves and lace, beaded or embroidered bodices all suit the smaller figure while better-endowed brides should avoid low necklines and fussy detail on the bodice. Nowadays, only if you have a tan to set it off – if you’re going for the traditional bridal look, creams and ivories are much kinder to the skin. But the choice of colour is enormous. Gold, silver and delicate pastels are very much in evidence and, if you really want to make a statement, there are fabulous rich crimsons and deep burgundies. 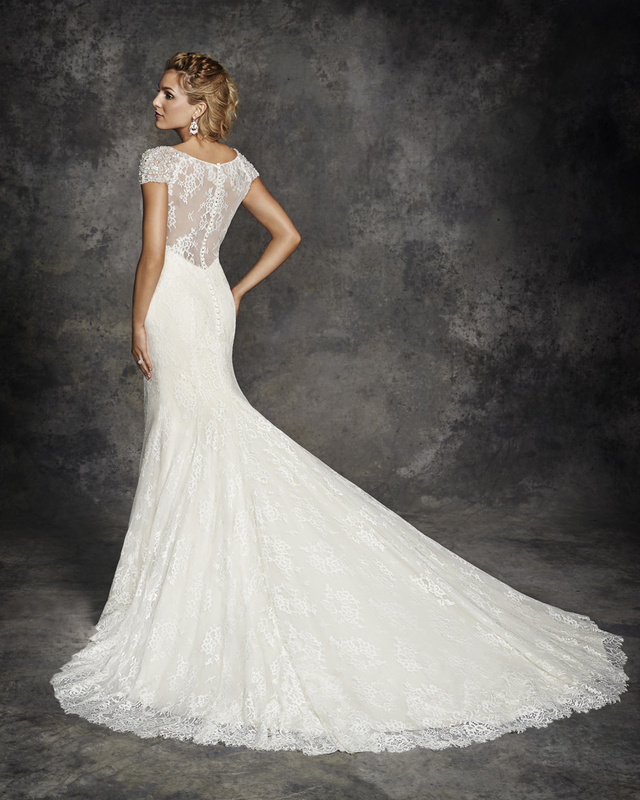 Everything you’ve ever read about the importance of the back of your dress is true. That’s what your guests will be looking at all through the ceremony. A built-in train will give you a slimmer outline while you’re standing at the altar and lend a special dignity to the occasion. Yes, they’re more difficult to handle but think of the fun you’ll have practising in front of the mirror at home. You’ll soon work out how to walk and turn gracefully and don’t forget your chief bridesmaid will be there to ensure your train falls properly on the day. When you go to choose your dress, limit the number of people you take with you for advice to a maximum of two. And always include a friend whose opinion you trust and who will tell you the truth about what suits you, and what doesn’t. Explore a beautiful range of bridal gowns by Alfred Angelo, Disney Fairytale, D’Zage, Catherine Parry, Ronald Joyce and Victoria Jane, as well as a stunning range of bridesmaid dresses, dresses that are perfect for prom, and ‘Perfect’ shoes and hair accessories. The team of friendly and expert wedding dress advisors are on hand to help you find the dress of your dreams, and a bridal hair stylist and specialist wedding make-up consultant are on hand to complete the perfect look. Bridal gowns, bridesmaids’ dresses, capes, wraps and shrugs all made to order. Also individually designed tiaras and selection of veils, bags, parasols and bombonieres. Mother of the bride or groom outfits also made to measure. Day and evening appointments available. 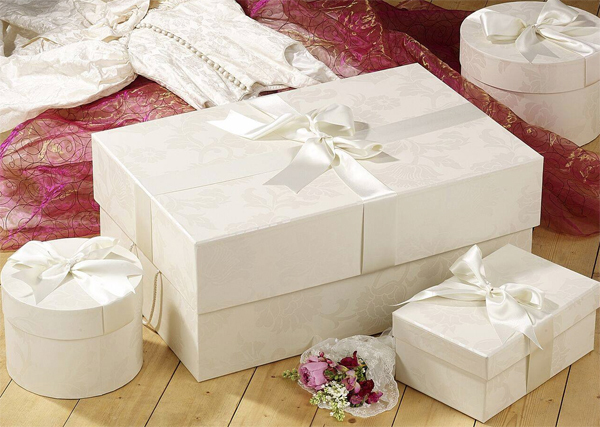 With everything for the bride and bridesmaids, as well as mother of the Bride, wedding guests and prom outfits. 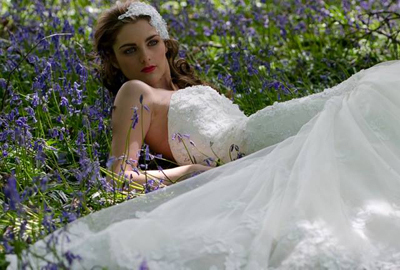 Beautiful bridal gowns by Kenneth Winston, Ella Rosa, Veromia and White Rose. With a large private bridal studio, relaxing one-to-one service and a huge selection of outfits, not just for the bride, but for bridesmaids and the Mother of the Bride too, Catwalk 09 provides every lady in the bridal party with plenty of choice. Collections include Eternity Bride, Art Couture, Le Novia by Gino Cerruti, Venus Bridal, Christina Wu and, for the more curvaceous bride, Cara Mia by Eternity Bride. From slim, flowing, classic strapless styles to highly detailed ballgowns with the most intricate of pleatings and embroidery, from bygone eras of Hollywood glamour in beautiful lace to traditional styling with the latest in-trend looks, and with corset styles with either lace-up or zip backs, there’s that very special dress for every bride’s individual look. There’s every accessory you could wish for as well, including dyable shoes and bags by Rainbow Club. Constantly changing selection of beautiful pre-loved and ex-display bridal gowns at up to 75 per cent off RRP. Also prom, bridesmaids and accessories. By appointment only. Fabulous selection of gowns from British designers Romantica of Devon, Phil Collins and Tiffany Bridal. Also glittering range of accessories, beautiful bridesmaids’ dresses and pre-loved ball gowns, prom and party dresses. There’s also a ‘Bride on a Budget’ collection. Sizes range from 4 to 30, all at amazingly reasonable prices. Supporting UK business is important to them, which is why they’ve chosen to stock only from suppliers based in the UK and, wherever possible, right here in the south west. Stocking highly sought-after international collections, including Maggie Sottero, Sottero & Midgley, Rebecca Ingram and LouLou Bridal. Intimate appointments available and there’s a bespoke alteration service for that perfect fit. Whether you plan to keep or sell your special dress, it is essential to have it cleaned and stored correctly to prevent it yellowing, fading or being damaged. Plymouth Wedding Dress Cleaning has over 10 years’ experience in dealing with the most precious of dresses, from wedding dresses to prom and christening robes. They will deal with you face to face (no couriers) and give individual attention if you need cleaning, preserving or repairs. Truly Delightful opened in the busy market town of Totnes in 1989 and offers you a truly friendly and unique experience. Jenny and daughter Rachel have a wealth of experience and knowledge and are able to advise and guide you through the selection process with a relaxed ease. They stock beautiful bridal collections, priced from £300 to £1,700, including from Ellis Bridals, Kelsey Rose, LouLou and Enzoani. This friendly happy shop puts its brides’ satisfaction at the heart of everything.